HowlRound is a free and open platform for theatremakers worldwide that amplifies progressive, disruptive ideas about the art form and facilitates connection between diverse practitioners. We seek to democratize the arts by effectively modeling the transformative power of commons based practice. HowlRound’s creation was a direct response to: 1) research that suggested artists were increasingly distant from the center of theatremaking within not-for-profit institutional infrastructure, and 2) the new possibilities created by technology to influence theatre practice. Our founding came at a time when we saw too many voices left off our stages, not represented inside of our institutions, and not recognized for their substantial contribution to our past and present. We set about to create a group of tools that would amplify voices and issues chronically underrepresented and unheard in the theatre. We found an organizing principle in the “commons”—a social structure that invites open participation around shared values. HowlRound is a knowledge commons that encourages freely sharing intellectual and artistic resources and expertise. It is our strong belief that the power of live theatre connects us across difference, puts us in proximity of one another, and strengthens our tether to our commonalities. HowlRound launched as an online journal in 2011, created by P. Carl, David Dower, Jamie Gahlon, and Vijay Mathew as part of the American Voices New Play Institute (AVNPI) at Arena Stage (founded by Dower in 2009). In 2012 the co-founders and all of the documentation and dissemination work of the AVNPI relocated to Emerson College in Boston under the banner of HowlRound. This included the HowlRound journal, the livestreaming television channel, then called NewPlay TV (now HowlRound TV), the New Play Map (now the World Theatre Map), and all of the convening activity. In July of 2012, HowlRound officially began operations at Emerson College, where we remain today. Co-founder P. Carl left HowlRound in 2017, and the three others remain at the helm. 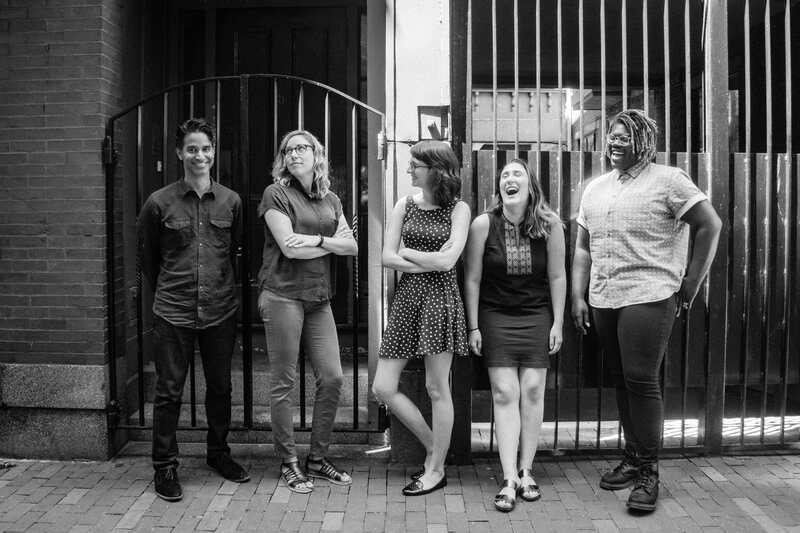 At Emerson, HowlRound is part of the Office of the Arts, a department that is also home to ArtsEmerson, a professional presenting and producing organization. HowlRound is a knowledge commons that encourages freely sharing intellectual and artistic resources and expertise. Interested in learning more about HowlRound's history and impact? Check out this executive summary and case study, "The Birth of a Theatre Commons: HowlRound from 2009-2017" by Helicon Collaborative! HowlRound is a condition—one that results in a howling noise when sound from a loudspeaker is fed back into a microphone. It’s an amplified feedback loop. This idea of a feedback loop represents the condition upon which HowlRound was born in 2011—as a place for artists to provide feedback, learning, expertise, frustration, and vision—in an effort to enliven the fields of theatre and performance to the aspiring and established artist alike. All of our content comes from our community. We curate according to our values, and we curate by listening to you. And sometimes when it comes to written content we curate through a rigorous editing process done in conversation with you. Other commons have emerged from the HowlRound commons. One of these is the Latinx Theatre Commons that began as a result of a meeting convened by HowlRound and is now an ongoing collaboration five years strong. If you’re here for the first time, welcome! Visit our Contribute Content Page to see how you can become involved, subscribe to receive our content in your inbox, or just send us an email and say hello. You are the commons. You are HowlRound. (L to R): Vijay Mathew, Jamie Gahlon, Ramona Ostrowski, Abigail Vega, JD Stokely. Photo by Anya Prudente. HowlRound functions as an ensemble. We have five full-time staff and a number of part-time workers that make the magic happen. Want to reach out? Visit our Contact Page! Jamie Gahlon is a doodler, a dabbler, a list maker, and a libra who shares her birthday with the Boss. She creates a mean budget and a meaner master schedule. She may have to borrow your dog or teacup pig. Vijay Mathew is a culture producer, an idea cartographer, and father to a ten-year-old who wants to help people when he grows up. An aspiring vegan chef. Ramona Ostrowski is a dramaturg, a dreamer, and a lover of old movies and new plays. Her Connecticut upbringing gave her an affinity for rocky coastlines and chunky sweaters. JD Stokely is a trickster-in-training who creates and curates performances around Queerness, nostalgia, the Black body, and home. Stokely is from Philadelphia by-way-of Boston. They are a karaoke enthusiast, an astrology nerd, and a lover of gourmet ice cream. Abigail Vega is a wanderer with a plan, a military brat, and a beach baby with an iced coffee addiction. A former B-list celebrity child chef, she has a formidable seashell collection and isn't afraid to use it. She flunked out of Chinese language Kindergarten, but don't worry, it has all been uphill since then. Don’t let his punk-side-of-dapper looks along with his Capricorn sun & rising placements fool you, this marimacho theatre nerd from the barbecue capital of Texas is an avid cuddler of animals and loves to make meaningful human connections through artistic expression. David Dower is an infrastructure identifier and alignment specialist. A superstitious sports fan and former bartender of the year, he will make you a perfect cocktail if you cheer for his team the right way. After fortuitously stumbling into the world of theatre through a rec league softball team made up entirely of stage artists, May co-founded the Canadian theatre magazine Intermission. She spends her free time exploring her city by bike, drinking coffee, reading books, and taking road trips with friends. Thea Rodgers is a theatre addict and wannabe astronaut who's streaming your station from nation to nation on the commons-based peer produced HowlRound TV network. She talks a big game but when it comes down to it, you can probably beat her in Scrabble. Ross finds particular joy in staying busy, finding new and creative ways to upend societal structures that don’t work well for everyone, and tap dancing! As a Musical Theatre major planning on adding a minor in Global and Post Colonial Studies, he’s still figuring out where he exists on the spectrum between commercial theatre and politically important art. While he’s still finding what exactly his place is in all this mess, he’s happy to help any way he can!